The warm waters of a hot tub provide muscle relaxation, increases blood flow to the affected areas, and relaxes rigid and spastic muscles. It soothes physical aches and pains, but can also soothe mental and emotional stress caused by daily arthritic discomfort (and all the other stuff life throws your way). There's no two ways about it: hot tubs are a great way to manage your arthritis. Before beginning any type of therapy, consult your doctor. Sitting in a tub of water reduces the amount of gravity compressing the affected joint. The buoyancy of the water completely supports limbs. The heat of the water dilates blood vessels, stimulates blood circulation, and reduces muscles spasms. Heated water alters the sensation of pain. Make sure the water temperature is not too hot--you don't want to burn yourself! Find a temperature that is warm enough so you can get the heat benefits, but not so hot that you burn or unduly stress your heart. Between 92 and 100 degrees is about right. Anything over 104 degrees is too hot for anyone. Take your time. The heat of the water is at its maximum benefit after about 20 minutes. Move around. Many doctors will prescribe exercises that can be done while sitting in a hot tub. These exercises will relax muscles and ease tension, similar to the hydrotherapy done in physical therapy. For lower back pain, try trapping a tennis ball between the small of your back and the bottom or side of the tub. Lean into the ball and roll it against your muscles. Just add salt. Use magnesium sulfate crystals (also known as Epsom salts) in the hot tub water. They can boost your body's magnesium levels as much as 35 percent. But use caution: use salts only occasionally, and if you are diabetic be aware that magnesium can stimulate insulin release. Get a massage--hydromassage, that is. While in the tub, have a friend or family member apply massage techniques to relieve arthritic discomfort. A doctor or therapist can show you techniques that will provide relief. Stretch it out. Once you are done soaking and are out of the tub, do some light stretching. Warm muscles stretch more easily and with less discomfort. Use it regularly. Ask your doctor for a recommendation, but a typical regimen is 20 minutes in the hot tub 5 times per week. Your situation may vary. Use it early. 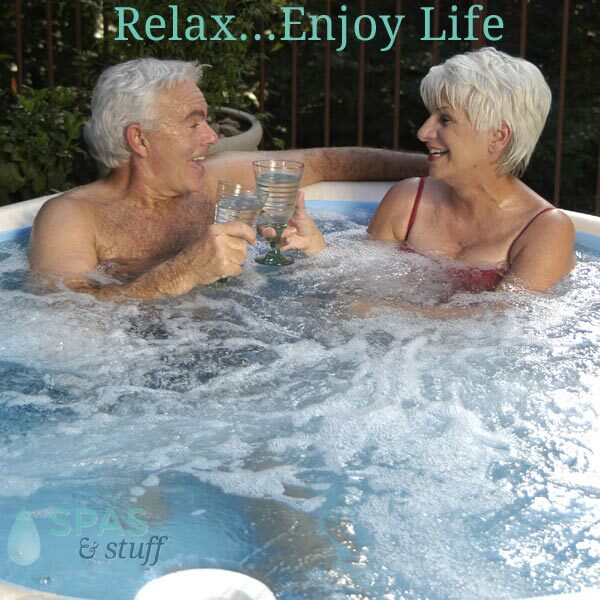 The most beneficial time to use a hot tub for arthritis relief is in the morning right after waking up. During the night, your body can become stiff from lack of motion. Using a hot tub in the morning will relieve discomfort, loosen joints and muscles, and invigorate you for the rest of the day. Be sure to drink plenty of water before, during, and after using your hot tub. Hydration is important! Don't use hot tubs if you have high blood pressure or heart disease, or if you are pregnant. Consult your doctor! This entry was posted in Hot Tubs and tagged health, arthritis on June 12, 2014 by admin.